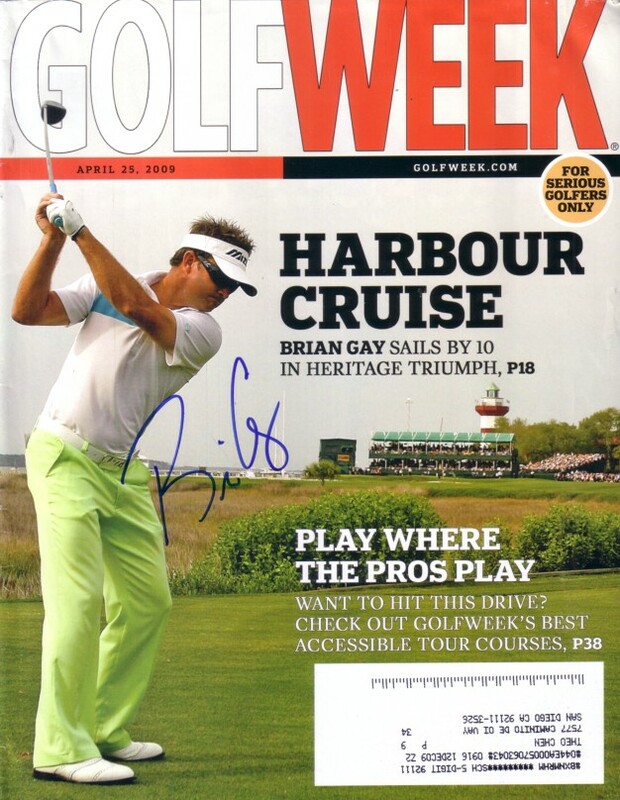 Complete 2009 Golfweek magazine autographed by PGA Tour star Brian Gay. With certificate of authenticity from AutographsForSale.com. Has very minor flaws/wear. ONLY ONE AVAILABLE FOR SALE.